Direct from a sold-out run at the Sydney Opera House, the most astonishing magic show of all time, THE ILLUSIONISTS – Witness the Impossible, is coming to enchant New York. This mind-blowing spectacular showcases the jaw-dropping talents of seven of the most incredible illusionists on earth. Full of hilarious magic tricks, death-defying stunts and acts of breathtaking wonder, THE ILLUSIONSISTS will dazzle audiences of all ages and make a believer out of you. This critically acclaimed production has shattered box office records across the globe and stunned thousands with some of the most outrageous and miraculous acts ever to be seen on stage. Are you ready to be thrilled, mystified, shocked, delighted and astounded? Are you ready to witness the impossible? 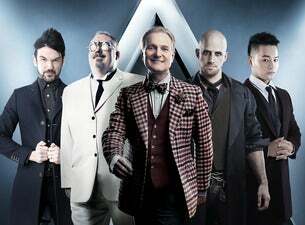 THE ILLUSIONISTS is on Broadway for a strictly limited engagement. See it, before it disappears.